Unfortunately, the history of the environmental movement has many incidences where small victories have caused a loss of focus on the big picture, or otherwise misdirected us into falsely believing the one-off accomplishment sufficient to save our planet. Make no mistake, we must be ever vigilant not to let the leaders of industrial civilization (i.e. the greedy, patriarchal, conscious-less ‘leaders of industry’ and their paid-for politicians and mainstream media) characterize the globally suicidal events that are unfolding. They will always use a deceptive framework supporting their relentless need for unsustainable expansion, and lead many into losing sight of the ecologically desperate times that we are facing. Deep Green Resistance believes the only way our planet can be saved for all species is for the current patriarchal and industrial civilization to be immediately dismantled. We also believe there is grave danger in premature self-congratulation for small accomplishments that seemingly are a win for the environment, but in truth do nothing to alter the existing paradigm of corporate power or slow the inevitable march towards unsustainable expansion and the murder of the planet. Simply stated, the processes that have been put in motion ― runaway climate change, population overshoot due to industrial agriculture, species extinctions, and ‘resource’ extraction ― are far too developed to be stopped by any means that allows the industrial complex to remain in existence. …the pipeline would not make a meaningful long-term contribution to the U.S. economy, nor would it increase U.S. energy security or help to lower gas prices, which have already declined dramatically over the last year. With these criteria for making his decision, we’re clearly not ready to take a victory lap for the environmental awakening of the global leadership. With the KXL decision in the news, it is critical to keep in mind the myriad disastrous ‘projects’ which continue unabated. As the DGR authors warn, these other projects evidence the hard truth that, so far, the work of the environmental movement has indeed left capitalism, industrialization, and civilization firmly in place. That three-headed monster has no intention of voluntarily leaving us to salvage what is left of our biosphere, so we are left with no other alternative than to terminate it ourselves, and with extreme prejudice. While TransCanada Corp. has been cooling its heels on its Keystone XL proposal for the past six years, the oil pipeline business has been booming in the United States. Crude oil pipeline mileage rose 9.1 per cent last year alone to reach 66,649 miles. […] Between 2009 and 2013, more than 8,000 miles of oil transmission pipelines have been built in the past five years in the U.S., […] compared to the 875 miles TransCanada wants to lay in the states of Montana, South Dakota and Nebraska for its 830,000-bpd project. By last year, the U.S. had built 12,000 miles of pipe since 2010. 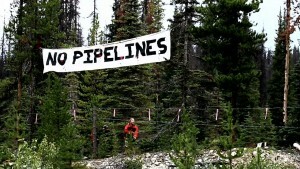 As a way around those challenges, other pipelines are in the works. One pipeline is already operating and sending hundreds of thousands of barrels of tar sands bitumen to Texas every day. 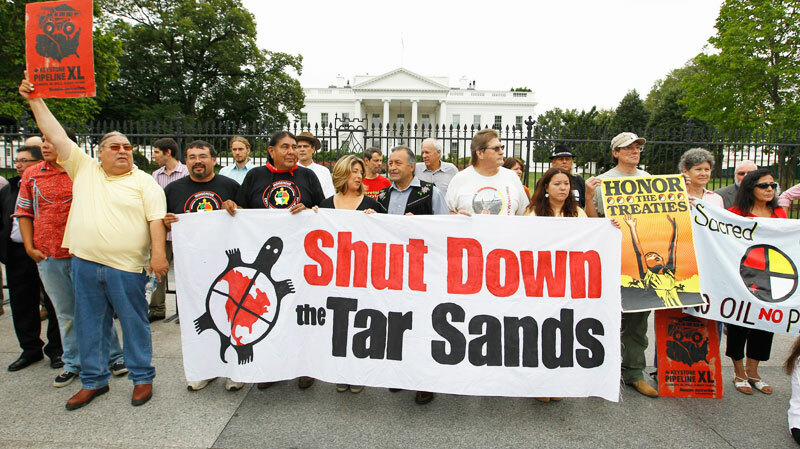 Experts, such as Stephen Kelly, a former U.S. diplomat and a visiting professor of public policy and Canadian studies at Duke University, say that the long-term outlook for Canadian oil sands production is not closely linked to the fate of Keystone XL. “Canada has ample financial incentive to find ways to get its oil to world markets, and it’s likely to find ways to build pipelines to its coast, despite opposition,” he said last year. The Keystone XL decision and its accompanying self-congratulations should be a warning to us all not to lose sight of the big picture. 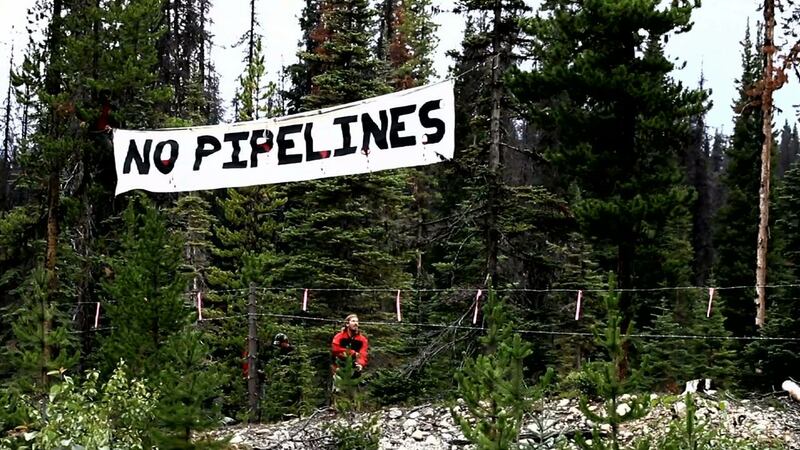 The Keystone XL alternatives do face opposition in Canada from overlapping groups of climate activists, grassroots environmentalists concerned about local impacts, and First Nations peoples, with the Unis’tot’en Camp a prime example of a coalition for active on-the-ground resistance. We must remain vigilant in fighting pipelines and other infrastructure expansion projects wherever they’re proposed, and be skeptical of any misdirection from the fundamental work of ending the industrial-patriarchal complex. There is some good news. Deep Green Resistance believes that the insanity of the industrial planet-killing machine can be stopped. We believe that a sustainable and just world can be achieved, and we can transition away from being a consumer society. The Deep Green Resistance strategy of Decisive Ecological Warfare (DEW) is a recognition of the scope of what is at stake (the planet); an honest evaluation of the potential for a mass movement (none); and an assessment that industrial civilization depends on highly vulnerable infrastructure. DEW keeps front-and-center the understanding that there will be no comprehensively successful environmental actions if we allow the current industrial framework to remain in existence. The people in power who are driving 200 species to extinction each day have no qualms about leading humans to the same fate, and show no signs of voluntarily altering their behaviors. It is well past time to make them stop. I urge you to take a look at the Deep Green Resistance website and to reflect on the future of this planet. The Decisive Ecological Warfare strategy is multifaceted and needs your help, with work to be done wherever your skill set and interests lead you. Get involved and save our home. If you’d like to read more analysis like this, and news of grassroots resistance to environmental destruction, sign up at the upper left of this page to receive email notifications of new posts. This is an important article. Thank you Clay.